Crystal Coleman controls the opening tip on the first night of the Class A Region 3, Section 1 girls basketball tournament. Valley posted an 89-24 victory to advance to a semifinal game Wednesday at Hico versus rival Midland Trail. Valley's Hannah Foster finishes off a fast break against Richwood Monday. Foster scored a school-high 43 points as the Greyhounds easily won their section tourney opener. Valley's Kaylee Nickoson drives to the bucket past Richwood's Kiarra Smith Monday. Valley's Kiera Hutchinson defends against Richwood's Sidney Hacker. Kelsey Nickoson squares up for a short jumper for the Greyhounds. Hannah Foster steals the ball. Also shown for Valley are Kaylee Nickoson, left, and Taylor Oden. Mallory Kincaid, left in center, and teammate Kaylee Nickoson battle with Richwood's Trinity Amick and Kiarra Smith for possession. Danae Pleva converts a jumper from the corner for the Greyhounds. Defending is Caylie Snyder. Gracie Gipson passes upcourt to start the fast break. Valley's Crystal Coleman goes to the floor to retrieve a loose ball against Richwood's Sidney Hacker. The Nickoson twins, Kelsey and Kaylee, battle Sidney Hacker for possession. Taylor Oden defends against Sidney Hacker. The Greyhounds' Kaylee Nickoson splits the Richwood defense. The VHS cheerleaders support the squad Monday. 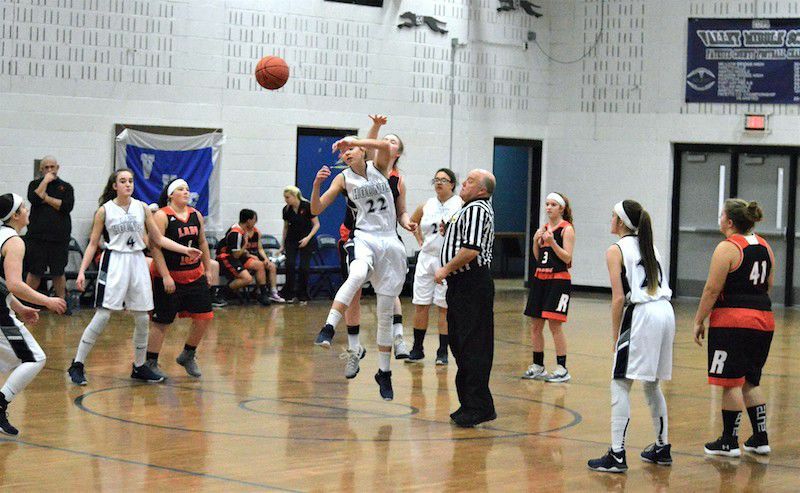 Trinity Amick passes to a teammate over Taylor Oden's defense. Barring upsets in further postseason play, the Greyhound girls left the home floor in Smithers for the final time. From left are Gracie Gipson, Kelsey Nickoson, Crystal Coleman and Hannah Foster. 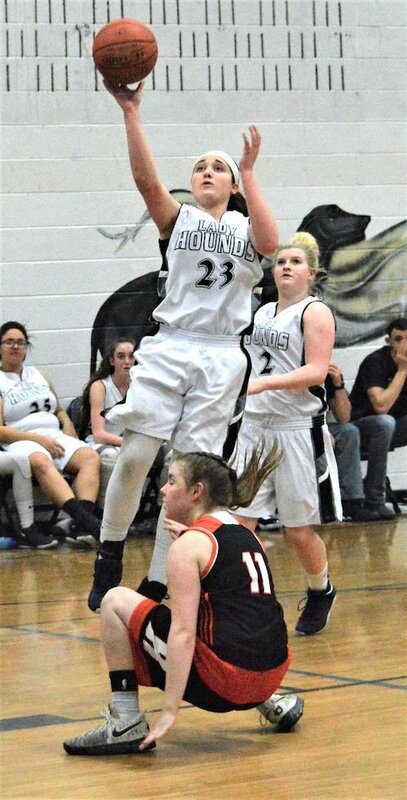 Senior Hannah Foster poured in 43 points to power the Valley Greyhounds past the Richwood Lumberjacks 89-24 in a Class A Region 3, Section 1 game Monday at Smithers. Foster's output broke the Valley individual game scoring record for girls and boys, according to head coach Todd Ryan. Kaylee Nickoson, Kelsey Nickoson and Kiera Hutchinson contributed 10 points apiece to the Valley attack, and Taylor Oden scored eight. Kelsey Nickoson pulled down 10 rebounds, Foster had eight caroms, and Gracie Gipson and Crystal Coleman pulled down six each. Foster logged seven steals and Coleman and Oden had five thefts each. Foster also blocked three shots. Sidney Hacker scored nine points to lead Richwood (3-18). Except for a recent blip against Charleston Catholic, which countered an earlier Valley win with a victory of its own against the Greyhounds, Ryan said the 'Hounds (10-13) have played well as the season wound down. "We've won six of our last seven," said Ryan. "We got hot at the right time of the year." Wednesday's foe, No. 2 seed Midland Trail, took care of Valley both times they've met this season, by scores of 56-30 and 67-35. "We have to stop them in transition," Ryan said. Sidney Hacker 4 0-1 9, Caylie Snyder 1 1-3 3, Mikhaela McKinney 0 1-2 1, Trinity Amick 1 1-2 3, Becca O'Dell 2 0-0 4, Kiarra Smith 1 0-3 2, Caley Brown 1 0-0 2. Totals 10 3-11 24. Kaylee Nickoson 5 0-0 10, Kelsey Nickoson 5 0-0 10, Crystal Coleman 2 0-0 4, Taylor Oden 4 0-2 8, Hannah Foster 16 9-15 43, Gracie Gipson 0 0-0 0, Kiera Hutchinson 5 0-0 10, Mallory Kincaid 0 0-0 0, Danae Pleva 2 0-0 4. Totals 39 9-17 89. In a Class A Region 3, Section 1 opening-round girls game Monday, Midland Trail tripped up visiting Fayetteville 66-31. Emily Dickerson scored 16 points to lead the way. Meghan Gill and Jenny Wilson scored 13 apiece for the Patriots (16-6), who were slated to host Valley Wednesday at 7 p.m. Gill pulled down 10 rebounds, and Dickerson and Laurel Johnson had eight boards each. Wilson had six steals and five assists, and Malerie Hendrick had seven steals. Cassidy Roles scored 16 to lead the winless Pirates in their final game. Cassidy Roles 4 7-10 16, Brooke Spangler 2 0-0 5, Lauren Spangler 3 0-0 8, Kaysie Cogar 1 0-0 2, Piper Casto 0 0-0 0, Paige Kessler 0 0-0 0, Kristina Neal 0 0-0 0. Totals: 10 7-10 31. 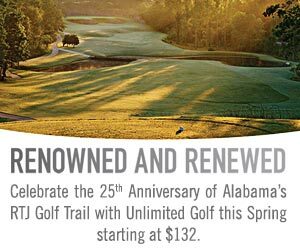 Kyleigh Jackson 1 1-2 3, Meghan Gill 2 9-10 13, Jenny Wilson 6 0-0 13, Jessica Adkins 1 0-0 2, Malerie Hendrick 2 1-1 6, Emily Dickerson 6 3-4 16, Laurel Johnson 4 0-0 8, Taylor Harrell 0 1-2 1, Gracie Ferrell 2 0-2 4, Rosie Moore 0 0-0 0, Emma Brumfield 0 0-0 0, Jolee Stephenson 0 0-0 0. Totals: 24 15-21 66. 3-point goals: F: 4 (Roles, B. Spangler, L. Spangler 2), MT: 3 (Wilson, Hendrick, Dickerson). Fouled out: none. Brooke Russell had 20 points and 11 rebounds to lead Wyoming East to a 72-28 win over Oak Hill in Class AA Region 3, Section 1 girls tourney semifinal action Monday at Oak Hill. Russell also had six steals. Skylar Davidson added 12 points and six assists. Jasmine Blankenship scored 16 points and Emily Saunders 11, and Katie Daniels made six steals. Marcayla King led the Red Devils (8-11) with 11 points. Wyoming East and Westside are slated to meet for the sectional championship Wednesday at Oak Hill. Brooke Linkswiler 6, Samiah Lynch 3, Shelby Gregory 2, Marcayla King 11, Savannah Holbrook 4, Keyanna Jones 2. Jasmine Blankenship 16, Katie Daniels 7, Brooke Russell 20, Emily Saunders 11, Skylar Davidson 12, Daisha Summers 1, Morgan Mills 3, Nicole Carte 2. 3-point goals: OH: 3 (Linkswiler 2, King), WE: 7 (Blankenship 2, Daniels, Saunders, Davidson 2, Mills). Fouled out: none. Marcayla King scored 21 points and Samiah Lynch added 16 as Oak Hill defeated Liberty 75-39 in the opening game of the Class AA Region 3, Section 1 tournament Saturday. Brooke Linkswiler added 13 points, including a trio of 3-point goals, and Savannah Holbrook netted 10 for the Red Devils (8-10). Liberty, which ended its season 2-17, got 20 points from Amaya Cheek and 10 from Kylee Wallace. Ashley Hatfield 3, Amaya Cheek 20, Katie Jarrell 2, Trisha Nelson 2, Kylee Wallace 10, Courtney Nelson 2. Madison Harris 3, Brooke Linkswiler 13, Samiah Lynch 16, Destiny Minor 2, Eden Gilkey 6, Marcayla King 21, Savannah Holbrook 10, Valerie Adkins 4. 3-point goals: L: 1 (Hatfield), OH: 3 (Linkswiler 3). Fouled out: none.